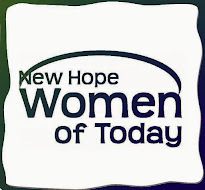 New Hope Women of Today: It’s Time to Feel the Passion & Catch the Wave! Friday Night Party: Be one of the first 50 members to arrive at the party and get a lei at the door. Saturday Banquet: Saltimbocca or Tortellini, plus DESSERT AGAIN!! Sunday Continental Breakfast included for all who register for the Saturday Banquet.